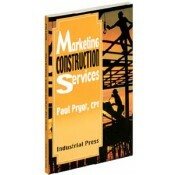 Written for both seasoned professionals and industry novices by a professional with nearly three decades of experience in operations and business development, Marketing Construction Services provides a general overview, as well as a comprehensive understanding, of the projects, trades, money, and market processes of the construction industry. It is a “must read” for anyone working in and about this industry who wants to gain a better understanding of the various processes involved in acquiring and successfully completing a construction project. Owners, design professionals, financiers, construction managers, general contractors, and subcontractors within the commercial construction industry will find this to be a handy and invaluable reference. • Offers the reader a new understanding for market processes, strategic planning and business development at all levels. • Presents comprehensive knowledge of contractual obligations throughout to include all phases of construction from owner requirements to market niches to planning to the bidding process to project completion and the ability to be paid to be ready to receive the next contract by owner. • Contains real-life examples that everyone in the industry can relate to.